William Jennings Bryan’s famous condemnation of the gold standard—his preference instead having been “bimetallism,” a monetary system wherein both gold and silver were legal tender—made his speech at the 1896 Democratic National Convention among the most famous in the history of American political oratory. Jennings’ opposition to the gold standard has been echoed by many experts since. The gold standard’s supporters claim, on the other hand, there history has yet to witness a better stabilizer of exchange rates, prices, and inflation. There is as well something ineluctably appealing about a currency that either consists or is readily convertible into a universally-prized commodity, as opposed to one whose most tangible representative consists of a mere piece of paper to which bureaucrats have assigned some nominal value. 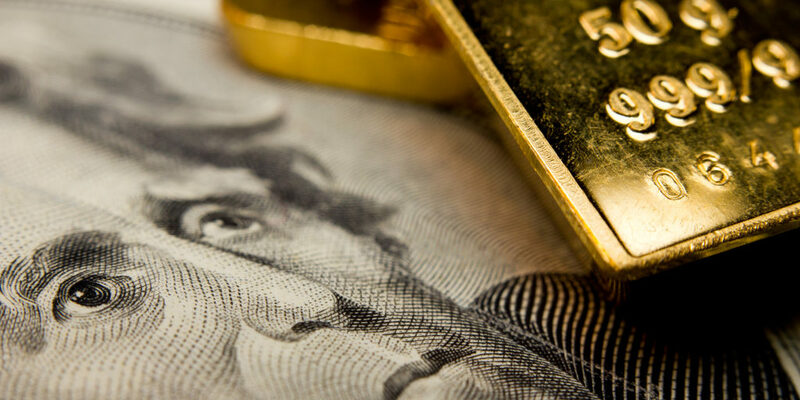 A return to the gold standard would also end the Federal Reserve’s discretionary control over the worth of our money. Indeed, it would do away altogether with the need for monetary policy, a development that modern advocates of a gold-standard resurrection see as a feature, rather than as a bug. Whether a return to gold would be a blessing or a curse, there simply is zero political will in any developed nation to attempt such a return. Instead, the near-universal consensus among experts, pundits, and politicians is that such a return is simply not desirable. But it hardly follows that the gold standard of old has nothing to offer us today. At very least, it can remind us of the crucial part trust played in shaping today’s global economy. James S. Coleman’s Foundations of Social Theory defines “trust” as voluntary acts by which persons places resources at the disposal of another with little in the way of enforceable commitment. This act demonstrates both vulnerability on the part of the “trust-er”, and the confidence they have in the “trusted” to uphold their commitment without being forced to do so. In a world where knowledge is invariably imperfect, trust—at both the macro- and micro-level—is what holds together both our society and modern economic system. However, even when enforceable contractual agreements are in place, as was the case with the gold standard, a failure to honor agreements meant economic failure, if not complete ruin. A party cannot pursue recourse for a breached contract from a position of financial tatters, which underscores how an element of trust in the good faith of one’s counterpart is essential to entering into such agreements in the first place. Trust is needed when it is cumbersome to create a formal contract enumerating two people’s mutual obligation to one another. You trust that when you hand over a five-dollar bill to the cashier that he will, in exchange, give you the candy bar that you would like to buy. If the cashier does not give you the candy bar and keeps your five dollars, he may be up five dollars today but will be down much more than that in the long run—because you will tell others that he broke his commitment to you which will cause him to lose business. It is trust—especially in light of an exponentially growing “sharing” economy that includes Uber, Lyft, and Airbnb—that lubricates the wheels of exchange. Given trust’s integral nature to a market economy, what can we learn from how trust was promoted by the first global financial system? The gold standard, which promoted trust between increasingly economically interconnected nations, is inextricably linked to the shift to internationalization of financial markets in the nineteenth century. There was then, as there is now, both financially mature and financially underdeveloped economies. When the the financially mature economies like France, Germany and England adopted the gold standard, they set the standard for the international market. Banks and private investors from these countries, in the absence of reliable information about political realities, looked to whether financially underdeveloped nations adopted the gold standard to determine how they were going to engage with them. Adopting the gold standard, then, was less a matter of gold being an objectively superior medium of exchange to all others. It was simply the standard that financially mature countries—particularly Britain—agreed upon, making it a system that the world could rely on. For financially underdeveloped countries, adopting the gold standard meant that they could be trusted: they were a part of the team and were willing to play by the rules. The gold standard may have offered the greatest benefits to those with the weakest credit: it wasn’t the Netherlands or Sweden that needed the gold standard to convince financial markets of their credibility. It was Argentina, Mexico and Greece. Adopting the gold standard offered a sort of financial equality. It demonstrated that countries with weaker credit could be trusted, and that playing by the rules was rewarded. Playing by the rules is rewarded the same way in our own society. Abiding by social norms builds trust among members of a community. Flouting social norms, such as someone choosing to cut in line, communicates that one thinks they are above the rules and that they do not think others are worthy of respect. In so doing, they demonstrate that they themselves are not necessarily a reliable member of the community. Thankfully, instances such as this young girl—who pilfered hundreds of thousands of dollars from friends and banks, and shirked tens of thousands of dollars’ worth of hotels and restaurant bills, to life a profligately extravagant lifestyle—is the minority. But, imagine if it weren’t? In the absence of the gold standard’s international trust-promoting qualities, it is important to consider alternative paths to trust-building between nations and peoples. Anti-inflationary measures, free trade agreements, mutual respect of intellectual property each can help towards this goal. In our era of instant gratification and “get rich quick” schemes that promise immediate results, it can be frustrating to consider that there exist entities of immense value that cannot be had or purchased instantly. But the most important things in life never are.